I chose to do my Meal Monday, on a Sunday because I am allowing myself 1 cheat MEAL (not day) per week and so far this has been helping keep me on track without feeling deprived. I wanted to show you guys what a typical cheat meal looks like. 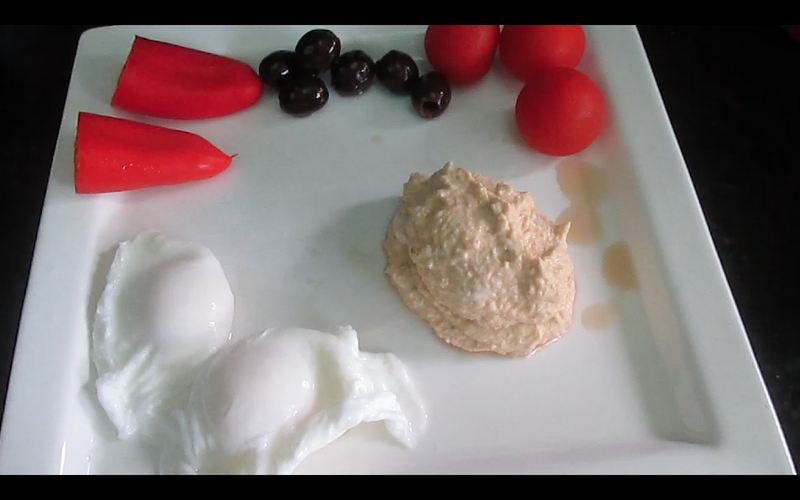 To start my day off I had 2 poached eggs, 2 sweet peppers, 3 cherry tomatoes, 7 olives, and a heaping spoonful of fresh made tuna. I also had my usual used coffee and 20 oz of very cold water. I then skipped lunch because I ate breakfast about 10 and we had ordered dinner to be ready at 4 so I just had an extra cup of coffee in-between. For dessert I had the Chocolate Thunder From Down Under, this is a chocolate brownie with chocolate sauce and vanilla bean ice cream. I am not a huge ice cream fan so I only used about 1/2 a cup of the ice cream (it comes with about 2 cups worth). You can see my Meal Monday video below.